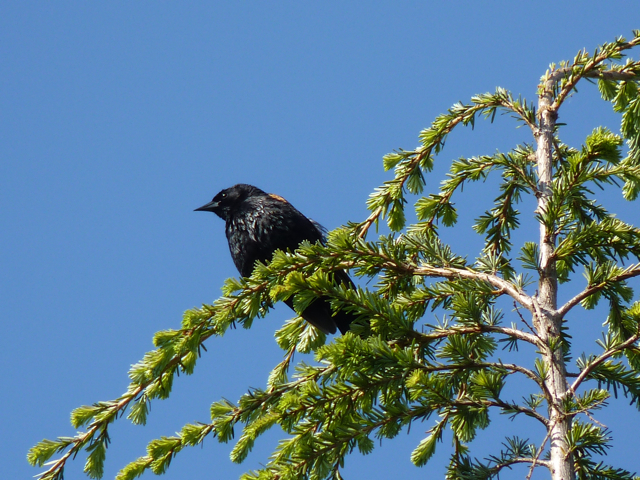 Join Geoffrey Newell Saturday, June 27, for an exciting first of the summer Friends of Uplands Park bird walk. Please meet at 9:00 a.m. in the large parking lot out at the end of Cattle Point, where the boat launches are. Uplands Park is at the north end of Willlows Beach, along Beach Drive in Oak Bay. After observing sea and shore birds, we will head inland into the park to listen to and search for the many song birds in this fabulous Garry Oak Meadow Community. Photos – Willow Beach Seine Net [RBCM & FOUP] – June 14, 2015. Posted on June 20, 2015 | Comments Off on Photos – Willow Beach Seine Net [RBCM & FOUP] – June 14, 2015. The Willows Beach Seine Net, hosted by the Friends of Uplands Park, and, presented by the Royal BC Museum, [June 14-2015 – low tide] attracted many folks of all ages. 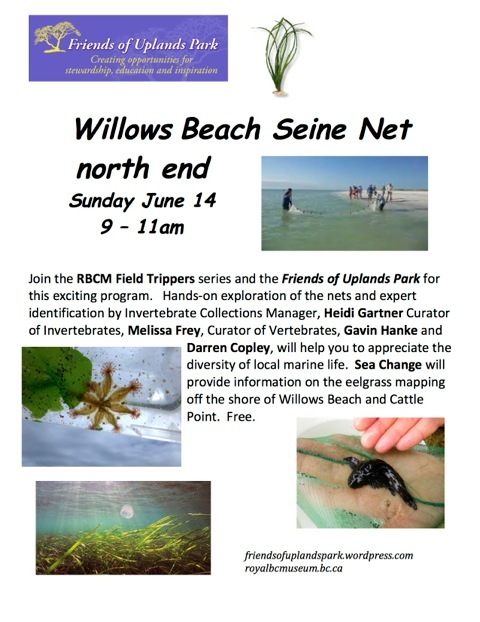 The photos tell the story of the Seine Net out in the eel grass off Willows Beach, with folks of all ages pulling in the net and sifting through to find sea life. Thanks to Margaret Lidkea, of FOUP, for providing nets and small containers to transport the sea life from the net to the RBCM holding buckets. Thanks to the RBCM scientists for showing the sea life to the crowd and sharing facts about each one. All sea life was returned to the ocean at the end of the show and tell. A truly beautiful day. A truly exciting event. Comments Off on Photos – Willow Beach Seine Net [RBCM & FOUP] – June 14, 2015. The Friends of Uplands Park has partnered with the Royal BC Museum for a wonderful hands-on event Sunday June 14 from 9 to 11am at the north end of Willows Beach. This is one of the museum’s Field Tripper Series celebrating 125 years of the museum doing public programs outdoors. The museum staff will be running a seine net over the eelgrass beds to collect creatures and then bring in the nets to shore. Families can find creatures, put them into little containers of sea water, and have them identified by experts. It will also be low tide so other living things can be found. People should wear boots or water shoes. SeaChange Marine Conservation Society has just finished a map of the eel grass off the shore of Oak Bay and will have this on display. Friends of Uplands Park are also in the process of planning an educational Marine Kiosk at Cattle Point. About $7000 has currently been raised but we need another $7000 donated. There will be a display of this kiosk as well as information about the flora and fauna of the area.